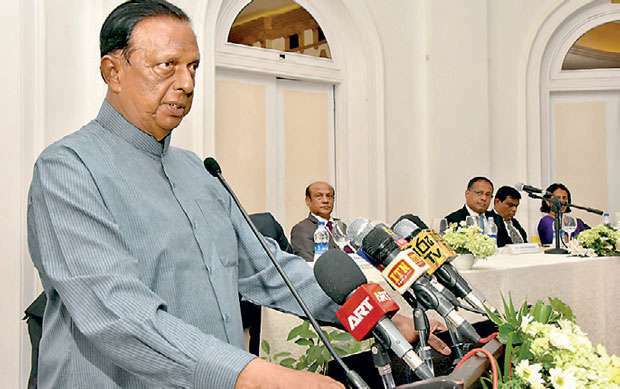 Sri Lanka’s Tourism and Christian Religious Affairs Minister John Amaratunga this week called the “grumbling Colombo hoteliers” to re-commence night club operations to retain more tourists in Colombo. Amaratunga said that Colombo Hoteliers are always complaining about not many tourists staying in Colombo as destinations such as Arguam Bay, Ella and Down South have become popular among tourists visiting to the country due to lack of entrainment activities in Colombo. Hence, the Minister advised the Colombo hoteliers to re-commence night clubs to provide more entrainment activities to tourists. “In the past, we had 2 to 3 night clubs (operated by city hotels). Unfortunately there were some unruly elements who disrupted such operations, which led to the eventual closure of these,” he said. Amaratunga assured that strict regulations on alcohol sales would be relaxed soon, noting that he had already taken up the matter with the Finance and Mass Media Minister Mangala Samaraweera. Meanwhile, the minister lamented the poor service of the immigration officers at Bandaranaike International Airport (BIA), the country’s main airport. According to him, it has become a major deterrent to the government’s attempt to develop the tourism industry. Amaratunga noted that he has requested the Immigration and Emigration Controller to look into the matter.